During the GKS Core Committee’s first meeting, held in Jan 13 to plan for a detailed program for Gopal Baba’s visit starting 2nd Feb to 11th Feb, all members agreed that our sole aim should be to make Baba very, very happy during his 10 days stay in Mumbai; Baba had informed us that this could be his last visit. 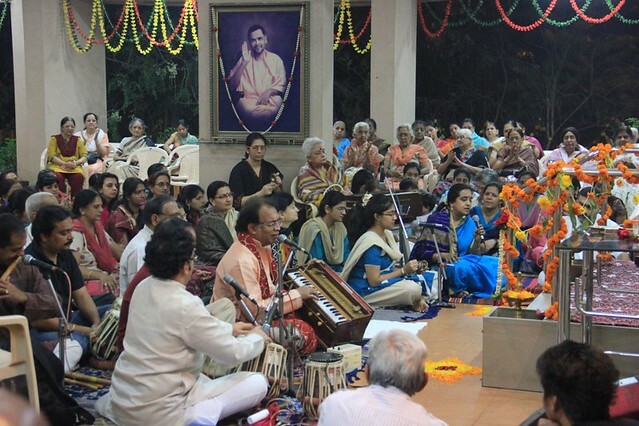 Because of his love for bhajans, the program would be centred around bhajans. As it would be his longest stay, we would propose 3 or 4 temple visits during the mornings only. For the benefit of new devotees we would request Baba to give his Divine discourses. A broad draft program was sent to him. His answer to us was that he would prefer not to visit any Temples or devotees’ houses. With a view that he could take maximum rest, the programme was finalized.It was decided to circulate the full program to only active GKS members and for the general public, to send only the 4 public programs for the evenings that would be held at Jai Ram Villa. At Baba’s instructions for each of the sessions, devotees would be served a meal (prasad) before leaving. In 1997 Baba visited PK and Chhaya’s home; whilst bhajans were going on in the living room, he went inside the Shrine room, closed the door. Lo and behold when the devotees entered the room they saw every picture of Shirdi Baba, Sathya Sai Baba, Sri Ramakrishna and Holy Mother Sharada Ma fully covered with Vibhuti. Gopal Baba said “Prashant, this is Dakshineshwar“. PK could not hold his tears, for the gratitude he felt to his parents who had sowed the seeds of spirituality in him. He was in bliss that moment. He told Baba, ‘this room was our prayer room where, when I was a child (PK was then 5 years) my mother started the ‘Khanda Aarti’ after sunset every day. A few weeks later in 1997, when Baba revealed to us that he was the incarnation of Holy Mother Sharada Devi, a desire was born in PK. 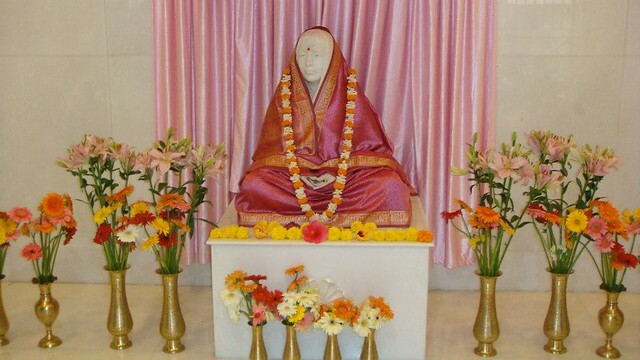 How wonderful would it be to take Baba to Holy Mother’s temple at the Ramakrishna Math. Over the years PK felt this desire several times and when he visited Sharada Ma’s temple he would cry and pray to Her to fulfil this deep desire. 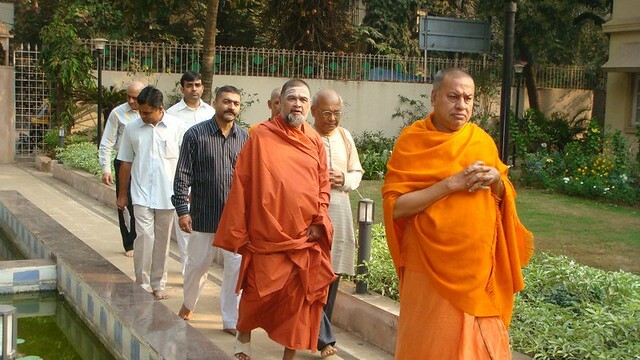 On the 15th Jan 2013, PK had decided to speak directly, to seek Gopal Baba’s consent, whether we could organize Baba’s visit to the Ramakrishna Math. After the evening Aarti at the Ashram that night, PK called Ravi and shared with Ravi that the Core GKS Committee had suggested 3 to 4 temple visits – and whether Ravi would speak to Baba. Ravi said that he would speak to Baba and call PK back. Inside himself PK found that Sri Ramakrishna urged him to proceed immediately and meet the head of the Ramakrishna Math; even before getting Ravi’s reply. PK spoke to the head of the Math about Gopal Baba, how PK met him, and Baba’s planned visit to Mumbai next month. He told this swami about his desire to bring Gopal Baba to the Math. PK suggested a date of 5th Feb and the swami, without any hesitation, gladly agreed as he would be in town. PK told him before parting that he would confirm after speaking to Baba. Two hours later Ravi called to say that Baba had no desire to visit temples or any devotees house and PK left it at that. The full program was rescheduled after we got the inputs from Girinagar. On 3rd Feb which happened to be Swami Vivekananda’s 151st Birth Anniversary (PK’s mother had told him that he was born on the Tithi Utsav day of Swami Vivekananda), the whole morning PK was at the Ashram (attending the special rituals for this day) PK and Raghavendra decided to visit the ashram again at 4.00 pm that same day. 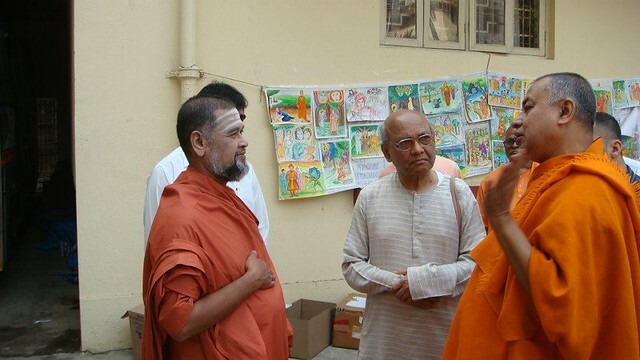 PK introduced Raghavendra to swami Sarvalokananda (the head of the ashram). The swami asked them, when are you bringing Baba? PK said Baba is tired and resting and the swamiji promptly replied, if he cannot come, I will come and meet him. In the same night of 3rd Feb, after Raghavendra appraised Gopal Baba for his visit to the Ashram, Baba said, “I will go to the Ashram tomorrow morning. A few devotees and PK accompanied Gopal Baba on 4th to the Ashram. Gopal Baba carried special sweets and when the two swami’s met and Baba offered the sweets to the swami. , it was a Divine sight to see. Sarvalokananda putting the sweet packet on his head, offering his obeisance to the Lord and how both swami’s holding each other as if in trance. As PK was facing, he could see tears welling in swami Sarvalokananda’s eyes. and all around the establishments. Thereafter he offered Prasad to Baba and to each of us. It was a very special feeling for all of us. The last spot was to Shri Ramakrishna’s temple .Together both swami’s offered pranams at the feet of Ramakrishna. At parting time , Gopal Baba invited swami Sarvalokananda to visit Girinagar and the swami said ‘yes, I will come’ . Baba replied ‘I will wait for you’. In a dialogue Baba had with PK on Sunday, 10th Feb at night, Baba said he was very, very happy . He said “I went to a Ramakrishna Ashram after 45 years”. Yogendra took a number of photos, and he made one set and gave them to swami Sarvalokananda the same evening. The swami. 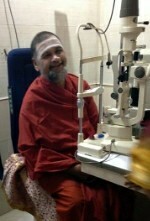 expressed joy at seeing his photos with Gopal Baba. Gopal Baba asked PK to narrate the experiences he had when they visited the Ramakrishna Ashram, to several devotees assembled in Dr. Janki residence on Sat , the 9th. Dr. Janki (she met Baba for the first time) had invited Gopal Baba for inaugurating a free eye clinic. This was a program with bhajans , darshan and prasad. Baba was in one of his best moods, gave his discourse and sang bhajans for about 50 minutes. The whole place was full of love and joy in Gopal Baba’s presence. PK met swami Sarvalokananda on 12th and asked him how he felt about Gopal Baba’s visit. He said Baba is a high soul and Ramakrishna has brought us together; he expressed feelings of great happiness. PK has offered to accompany the swami to Girinagar and he agreed happily. PK’s love and surrender for the Lord has further deepened , for his prayers have been answered even after 15 years. My dear Sai sisters and brothers , believe that the Lord will listen to each person’s sincere and selfless prayers, if it is for the joy and peace of others. We need to have patience and share only positive feelings every day of our life.